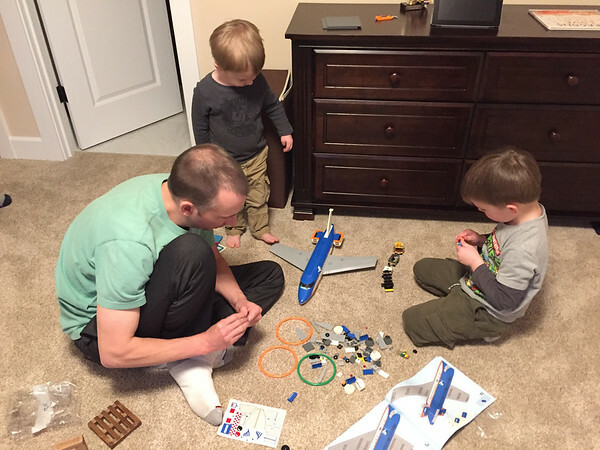 I love watching the family build Legos together. Just another year or two and I think Nicholas will be even more into it. Right now he is a great cheerleader and very excited to play with whatever the final product is. This was the year of the “doggie house”. 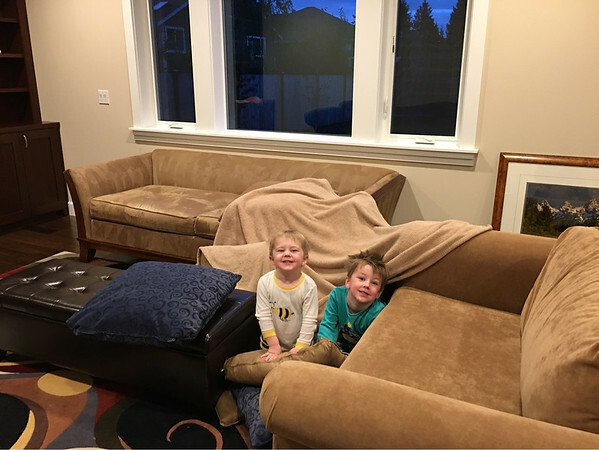 Building support walls out of pillows and roofs out of blankets these two couldn’t wait to build a doggie house every single day. Having 3 couches in the living room allowed for lots of cushions to use in the development phase. They were both very excited not to have to give up doggie houses even after we moved. This is my “I never” picture. Once those words leave my mouth I know I will find myself in a scenario that requires me to go back on my word. This one was buying a new couch on New Year’s Eve. I may have eye rolled seeing kids using screens as entertainment in stores or restaurants, but we came in ready to break all rules this day. 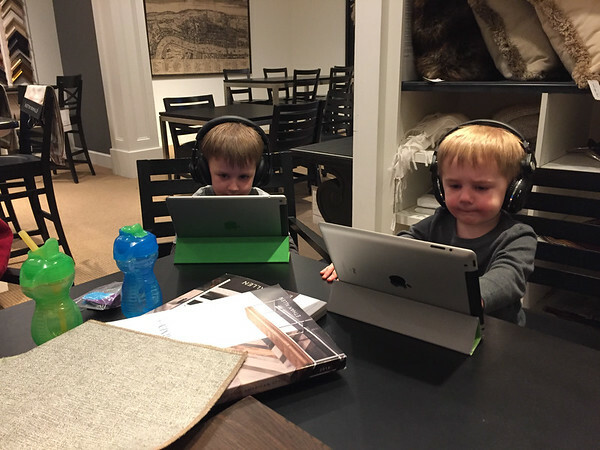 We wanted to walk away with a couch ordered so the boys both sat down with their favorite shows at Ethan Allan while Rob and I sorted out fabrics and other details for a new sectional and coffee table.